Awards and Decorations are bestowed for various reasons to those who met certain criteria during their time serving the country. This website will primarily focus on those awarded to people during the Vietnam War. Many countries bestowed awards and decorations, and this website is currently only listing awards, recipients, and criteria specific to the United States. 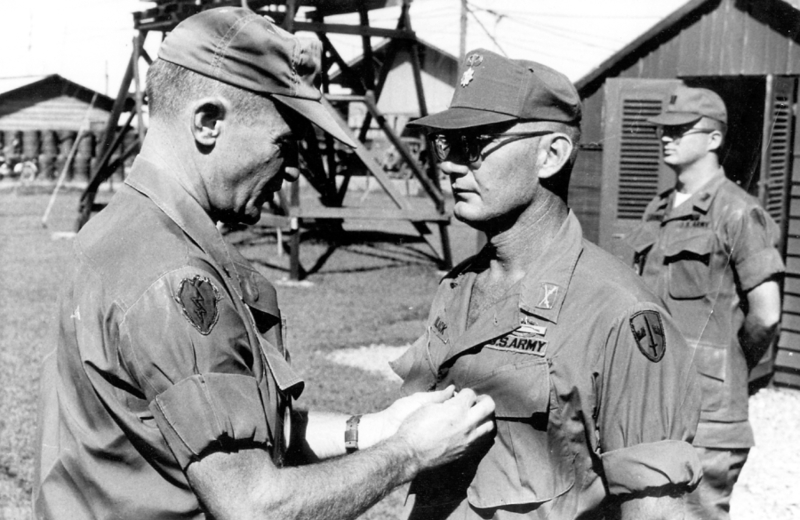 Maj. Robert Black receiveving a Silver Star for valor in 1968 during the Vietnam War.